Irrespective of the Warburton review’s findings, the uncertainty Tony Abbott has created is killing the green energy sector. Prime Minister Tony Abbott talks with a solar hot water system installer in Canberra. bid to save the Renewable Energy Target. renewable energy must provide 41,000 gigawatt hours of energy by 2020.
uncertainty over the policy to continue. Australia. Last month, his company shed 10 per cent of its staff. factors in the review’s deliberations. significantly driving up power prices” and that he favours coal and gas. This debate can get clouded by numbers, with interest groups on either side manipulating figures to advance their causes. than if the RET were abolished. breaking a promise if he cut the target. 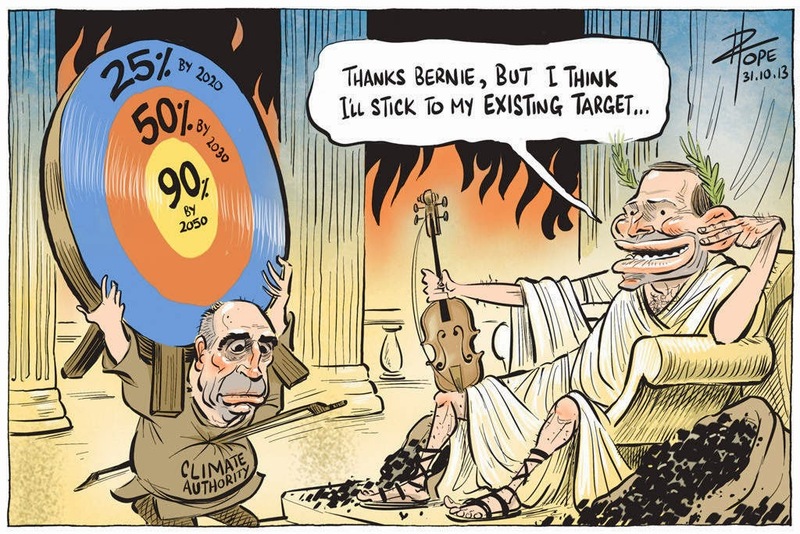 carbon tax repeal and would continue with “some work with the RET”. gas, no mention was made of massive reserves of sunshine and wind. abolished completely and for an exemption for aluminium smelters. was calculated as 20 per cent of Australia’s 2020 energy requirement. Since then, electricity use has dropped as the manufacturing sector has shrunk and consumers have embraced efficiencies. current forecasts, involving much slower growth in renewables. “The key issue is there are cheaper ways to reduce carbon emissions. this – and that changing the target could be risky. electorate have installed solar cells and solar hot water systems. chance to reduce their electricity bills. only a small portion of renewable power generation. review is strangling investment, causing job losses as projects stall. citing the jobs created by a local solar business. says shifting to a “true 20 per cent” would also be a devastating cut. Warburton’s findings, would leave the industry in limbo. Palmer argues it is impossible to provide any guarantees beyond the electoral horizon. present government,” Palmer tells The Saturday Paper via text message. on Aug 16, 2014 as "Piss and wind on renewable energy". Subscribe here.